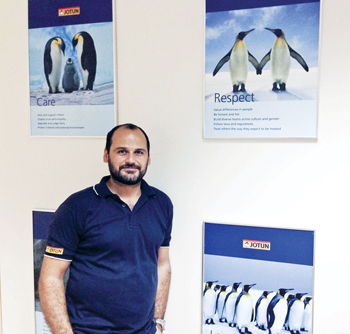 Jotun Paints, one of the world’s leading producers and distributors of paints and coatings, showcased its latest range of protective paints and coatings at this year’s edition of the Dubai International Boat Show (DIBS). The company spotlighted its Megayacht Professional range, which has been developed from today’s most advanced self-smoothing and self-polishing technology and is composed of anti-fouling, primers, top coats, fillers and paint systems. Industry reports have revealed that a large fraction of the world’s super yachts and luxury vessel owners can be found in the UAE, particularly in Dubai. Jotun’s Megayacht Professional aims at addressing the unique and growing demand for vessel protection from the region’s growing fleet of super yacht and luxury vessel owners. 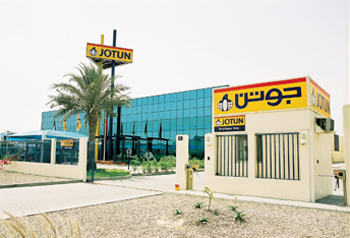 Founded in 1926 in Norway, Jotun – one of the world’s leading paint manufacturers – established its presence in the Middle East in 1974, with Jotun UAE Ltd. Ever since, it has expanded dramatically throughout the region and is the first paint manufacturer to be awarded the ISO 9001: 2008, ISO 14001 and OHSAS 18001 certification. The company also has state-of-the-art manufacturing facilities in Abu Dhabi, Dubai, Saudi Arabia, Oman and Egypt.